Ever since the inception of Decimal Currency, the Royal Australian Mint has been the country's main supplier of circulating coinage. 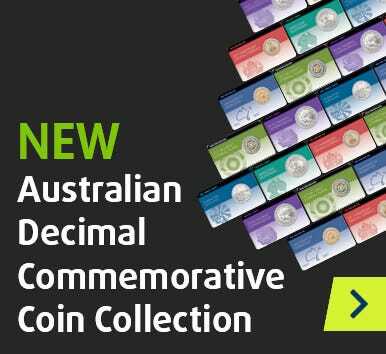 Now a haven for coin collectors, the RAM offers a raft of commemoratives, Proofs and Uncirculated Australian legal tender alike - and pays homage to Australia's identity, both past and present. From World War I to Australian fauna and sporting legends, the Royal Australian Mint has something for every Australian coin enthusiast.